Lee Martindale made her first professional fiction sale, to Marion Zimmer Bradley for Snows of Darkover , at the age of 43. Since then, her stories have appeared in numerous magazines and anthologies, including three volumes of Marion Zimmer Bradley’s Sword & Sorceress anthology series, Turn The Other Chick, Chicks and Balances, Witch Way To The Mall, and Fangs For The Mammaries for Esther Friesner, Roby James’ Warrior Wisewoman 2, the Sharon Lee/Steve Miller-edited Low Port, Martin Greenberg and Janet Dever-Pack’s Catopolis, and three volumes of Selina Rosen’s Bubbas of the Apocalypse anthology series. Bard’s Road: The Collected Fiction of Lee Martindale, a compilation of twenty-nine of her short stories, was published in 2014. 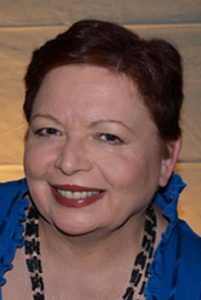 In addition to slinging fiction, Lee is a Named Bard, an ordained ULC minister, and a Lifetime Active Member of the Science Fiction and Fantasy Writers of America, where she served two 3-year terms on the Board of Director and has recently returned to service on the Grievance Committee as Senior Mediator. Her hobbies include music, theater, movies, several fandoms, and sharp pointy things, like rapiers and knitting needles. She, her husband, and one feline mistress share a home in a Dallas suburb.